Mackie Audio Consoles – Are These New Consoles Worth Consideration? 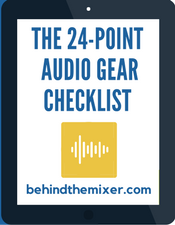 The Mackie SR24:4 has been installed in more churches that grains of sand on the beach. This might be a slight exaggeration but it’s the first console I ever used, over 20 years ago, and I still see it in churches today. But let’s be honest, for many years, the name Mackie wasn’t at the top of the recommended console lists. This has changed. The last few years, Mackie has been a bit all over. For example, they’ve done a lot with digital consoles but have also released the analog PROFXV2 console which only has one mid-range sweeping mid EQ. For a series labeled “PRO,” I would have expected two sweeping mids. Yes, it has effects but please give me two sweeping mids! With digital, several years ago, they released the DL1608 & DL806 iPad-driven consoles. Slide the iPad into the docking station and start mixing. Then last year it happened. 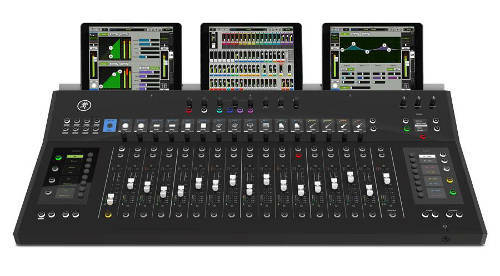 Mackie introduced the DL32R wireless digital mixing system which was composed of a rack I/O unit and an iPad app. Mix from where ever you want. I loved the app when I tried it and compared it to other similar products. It even won the 31st annual NAMM Technical Excellence and Creativity (TEC) Award for Small Format Console Technology. As digital prices drop and consoles are getting smaller and smaller – or using wireless tablet devices for mixing, new products were bound to come out during January’s NAMM conference. And Mackie was at it agai. The DL32R does give 32 channels but what if you only need 4 or 8 channels? 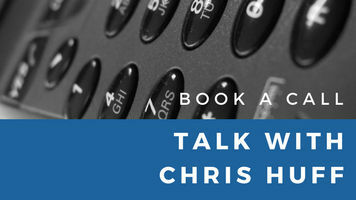 And you want something simple and I mean SIMPLE – but would still like the benefits of a digital interface. I’ll be honest, I’m still trying to wrap my head around this. The little bugger uses an iPhone for display but physical encoders for selecting the channel and making adjustments – assuming you could use the touch-screen of the iPhone if you wanted but the point is ease of use with the interface. The channel EQ controls are limited to a 3-band EQ with sweepable mid but a more flexible graphic EQ on the overall output. It’s this type of system I’d expect a musician to use in a coffee-house situation. 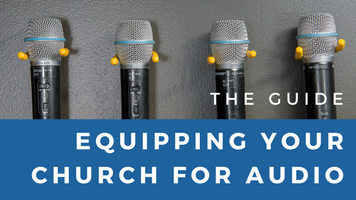 While it could be used in a small church where the worship leader is also the tech guy, I don’t see this of much use in the worship environment. 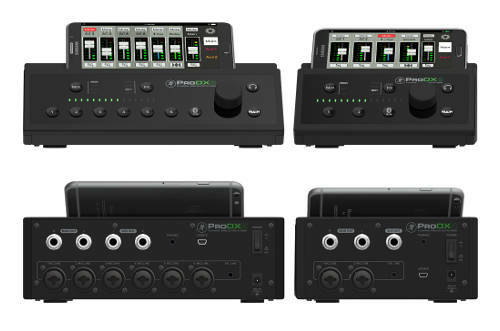 HOWEVER, after announcing the ProDX series at the recent NAMM, they went one step further. The Mackie AXIS is combination of their new DC16 control surface and the DL32R, using up to three iPad devices for display. “The Mackie AXIS™ Digital Mixing System delivers unmatched speed, visibility and customization for professional production and install. With full Dante® interoperability, the modular AXIS system combines the power of the 32-channel DL32R™ digital mixer and innovative DC16™ control surface to deliver a live sound solution with stunning workflow efficiency. The AXIS’s DC16 does remind me of the PreSonus CS18AI. It’s a similar system with the CS using a large-screen television for the display. The DC16 does offer different displays on each iPad. I haven’t seen a price on the AXIS/DC16 but you’d have to factor in up to (likely) three iPads. 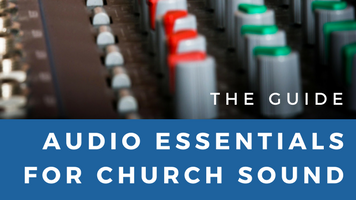 In the case of the Presonus, the price of the large display would need to be included. What we’re seeing now is a slow growth (birth?) of the console surface market. 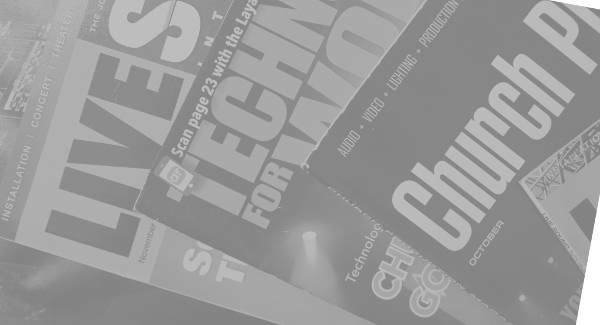 AVID has it with the Venue S3L-X, Presonus has it with the CS18AI, and now Mackie has it. While each one of these has a different bent and configuration options (the AVID is amazing in what it can do), the fact remains, the surface and display and I/O unit are separate. But does anyone need it? Why not build the DC16 with built-in screens? Why not include the inputs in the back? Why opt for something like the CS18AI when you’d have to buy a large monitor. Let’s dig into this a bit. Imagine selecting an I/O box with just the features you need. Now select the tactile surface that you like and a display style that fits your needs. And somewhere in all this, you get a wireless application that’s configured to your desires. Got an advanced crew, get the high-functionality package. Got a basic crew, get the basic package with some automated features. Welcome to the future of audio consoles. That’s what I see coming down the line. It might not be quite like that but it will come. 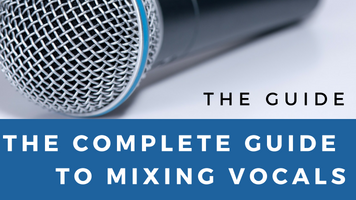 Mackie is certainly giving consumers a lot of choices for niche uses and how much more niche can you get than picking the parts you want. Today it’s the DC16 with the DL32R. Next year, imagine a DL64R – twice the channels, or the ability to add a second DL32R and bridge them, so users can increase their inputs at a lower cost while retaining the surfaces. I’m not saying that’s what Mackie is going to do. I’m saying that looking down the road at future audio consoles, we’re just getting into some amazing possibilities. Interestingly, I’ve found the worship environment to be a great place for the ProDx4 – as a “more-me” box! 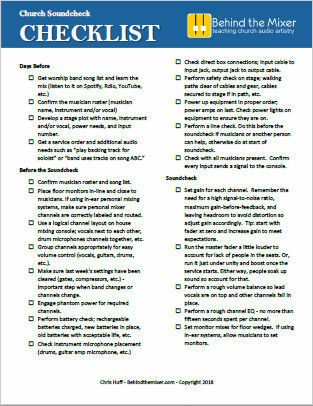 As a bassist, I intensely dislike having to rely on the send a FOH or monitor engineer sends me. With the ProDx4 , I always have clean ‘local’ signal that I receive from the ‘thru’ output of the d.i. Then I can blend it to taste with the signal I get from the Aviom, monitor mix or even a simple aux house mix. In this setting the 3 band e.q. and limited compressor and reverb are very helpful. Looks very interesting. I watched an nterview from Namm on YouTube and I believe the fellow from Mackie quoted $7,300 all in. I can’t remember which video it was however. To me, it’s not what it is but what it represents. Would I buy one? At that range, I’d look for something else. But for some people, it fits a need. Nick, I totally get that. We have iPads for a handful of things and they are DEDICATED iPads. The TD maintains them, they stay there, etc. The OLD DAYS: Wonderful music recorded on terrible equipment! The NEW DAYS: Terrible music recorded on wonderful equipment!